Contemporary or later plain cloth with author name faintly to spine. 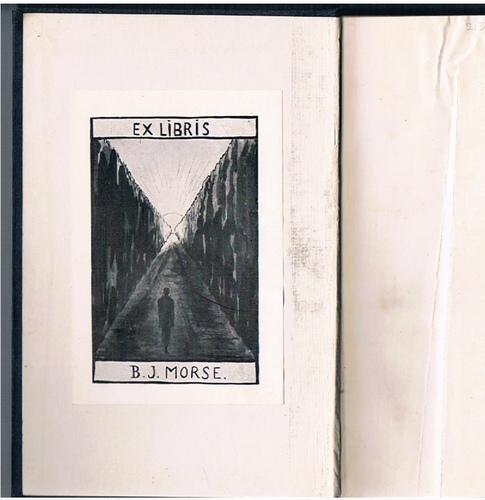 B J Morse's illustrated ex libris to paste-down and his name and college to t.p. (1924). Mild damp spotting to title and last page. Crease to fep else very good, clean and tight. ; This book translated to: "Anthropological Studies in the Strange Sexual Practises of all Races in all Ages". Iwan (Ivan) Bloch (1872-1922), German dermatologist and psychiatrist, is often called the first sexologist. 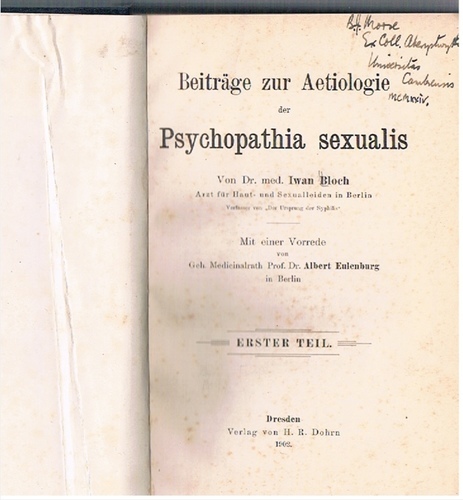 He discovered the Marquis de Sade's MS and published it under the pseudonym Eugène Dühren in 1904. 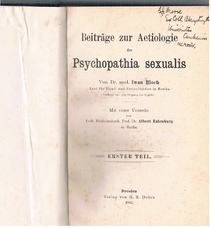 According to Sigmund Freud, Bloch's studies were instrumental in the development of the anthropological approach to the theory of sexuality. B. J. Morse, Italian and German scholar, spent some pre-war years in Trieste, Osnabrück and other cities, where he began his contacts with German and Italian writers. He was a poet, critic and scholar, a notable translator of poetry (especially Rilke). Morse was made a knight of the Italian Republic in 1966. The Advanced Montessori Method * (1) Spontaneous Activity in Education.